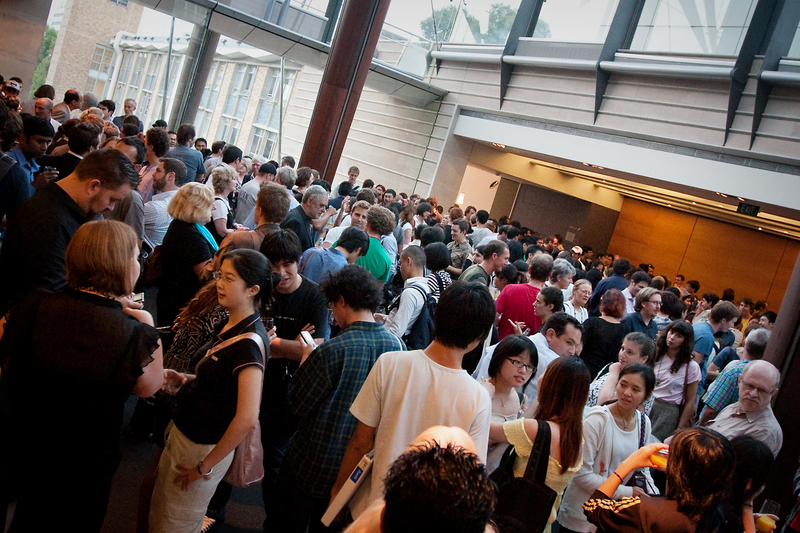 UNSW Built Environment Event: Adrian Carter, Director of the Utzon Centre will speak Wed, 12 May at UNSW – Join Us! 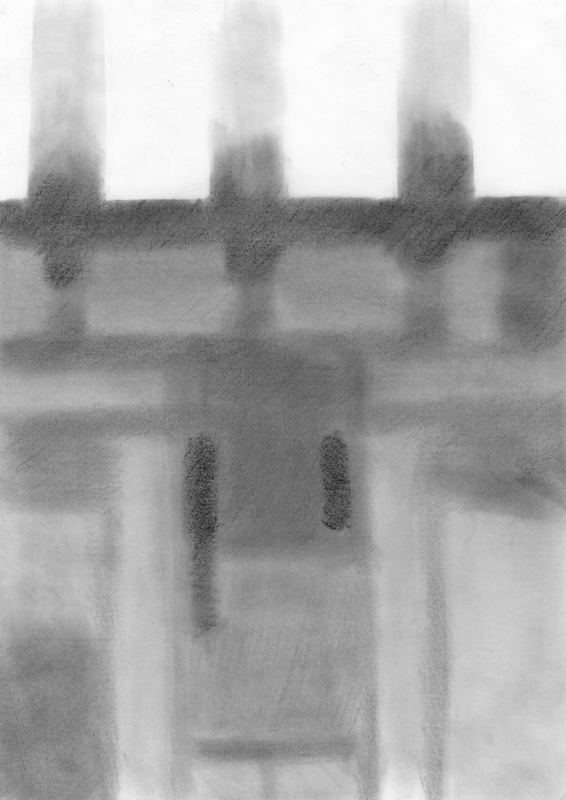 Adrian Carter is a British born architect and academic, now living in Denmark, who studied at Portsmouth School of Architecture, The Royal Danish Academy of Fine Arts, Copenhagen and the University of Cambridge. He has extensive Nordic and international architectural and urban design experience, having worked together with Professor Reima and Raili Pietilä in Helsinki, Niels Torp in Oslo, Ancher, Mortlock and Woolley in Sydney, Henning Larsen and Dissing+Weitling in Copenhagen. Architectural work has included public buildings, architectural design competitions, master-planning and major civil-engineering projects, including the Finnish Embassy New Delhi, Sief’s Palace Kuwait, Tampere Library Finland, Aker Brygge harbour development Oslo, Illum’s Department Store Copenhagen, Walsh Bay housing Sydney, Storebælt Suspension Bridge Denmark and the European Embassies of the European Union Abuja Nigeria. Adrian Carter has taught at the Aarhus School of Architecture and since 2000 has been involved in the establishment of Denmark’s third architectural education at Aalborg University, as an Associate Professor. Under the auspices of Aalborg University, Adrian Carter initiated and established the Utzon Center and became its first Director. 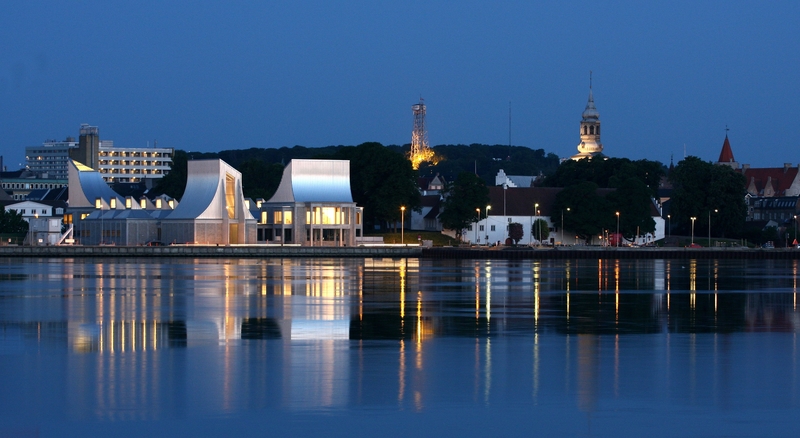 The Utzon Center building on the Aalborg harbourfront was designed by Jørn Utzon in conjunction with his architect son Kim Utzon’s office and opened to the public in May 2008. 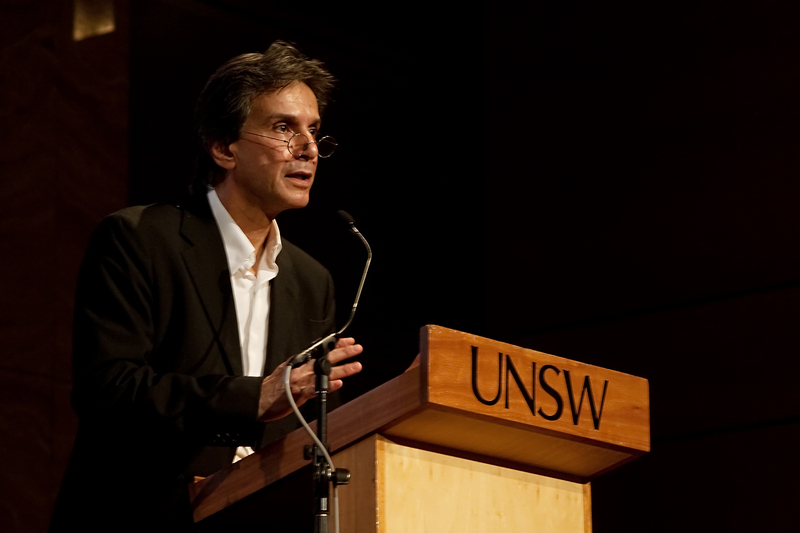 Adrian Carter is an Honorary Associate Professor, at the Faculty of Architecture, University of Sydney and has acted as an advisor to the Australian Government Department of the Environment and Heritage in their nomination of the Sydney Opera House for inscription on the World Heritage List. 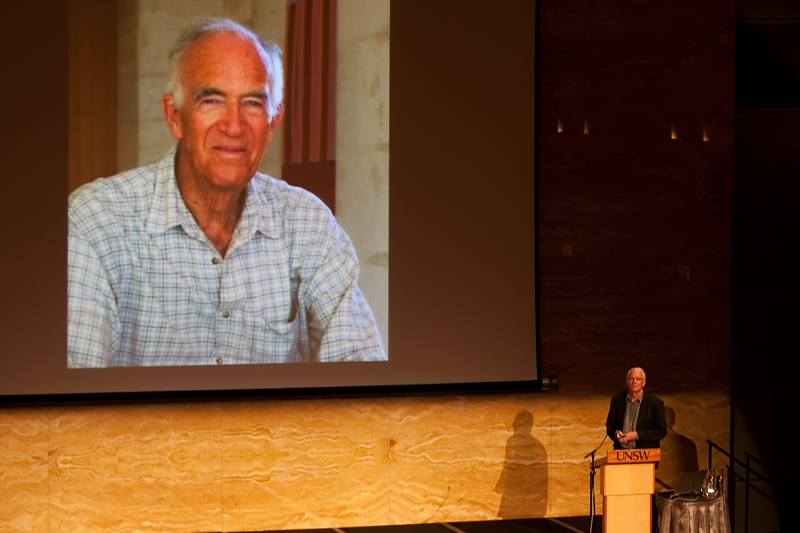 Carter’s lecture is entitled: Inspirations and visions: The work of Jørn Utzon and the Utzon Center. 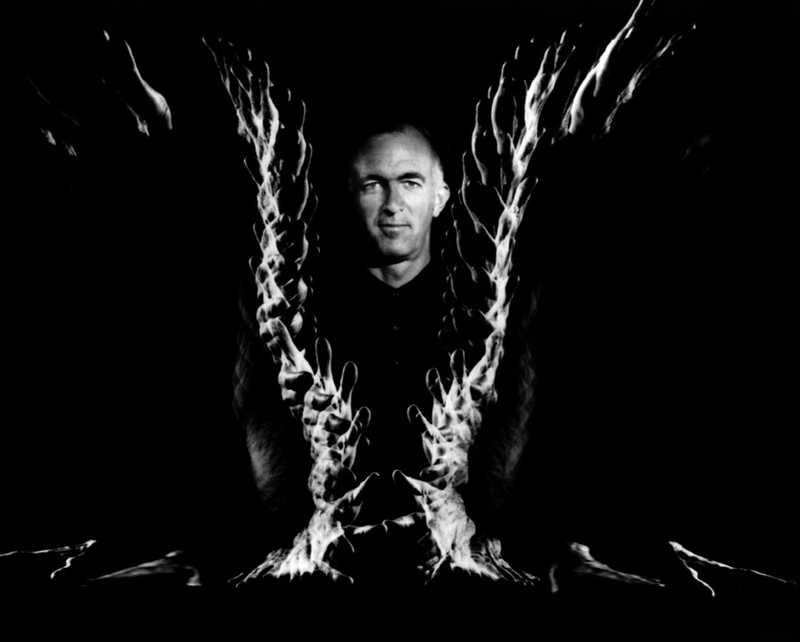 The lecture will illustrate and discuss Jørn Utzon’s sources of inspiration from boat building, nature, his extensive travels and influential mentors, together with the recurring themes within his work. As a means to understand both the development of his approach to architectural design and also as the basis for further architectural design research of contemporary relevance. 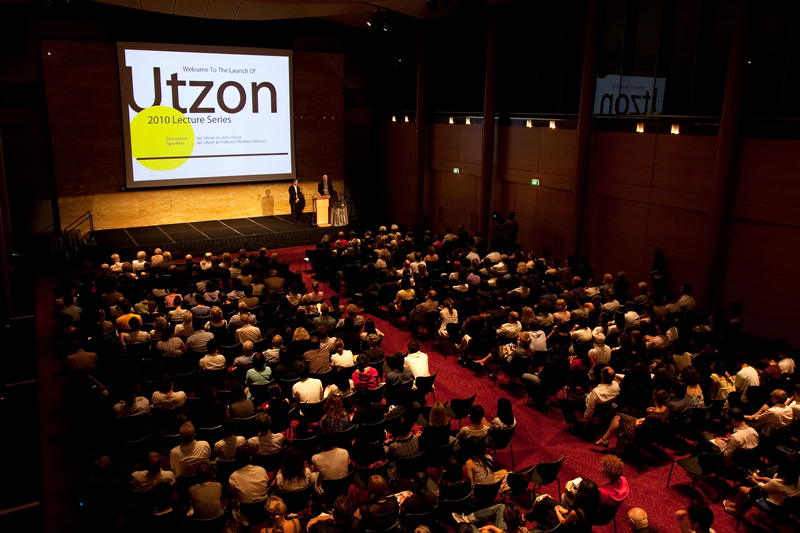 It was Jørn Utzon’s vision for the Utzon Center, that this should be a home for the development, discussion and presentation of this research, as well as for the wider public appreciation of architecture, design and art. 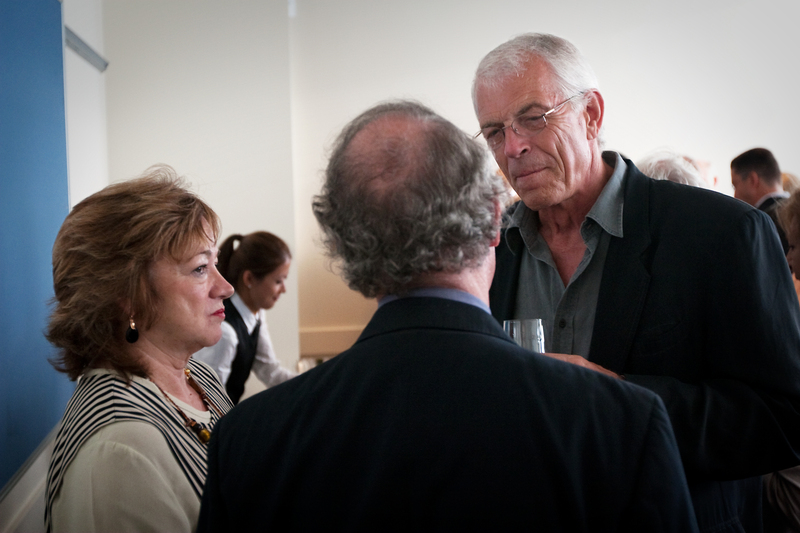 Last week Jan Utzon was invited to speak at the launch of UNSW Built Environment’s 2010 Utzon Letcure Series. 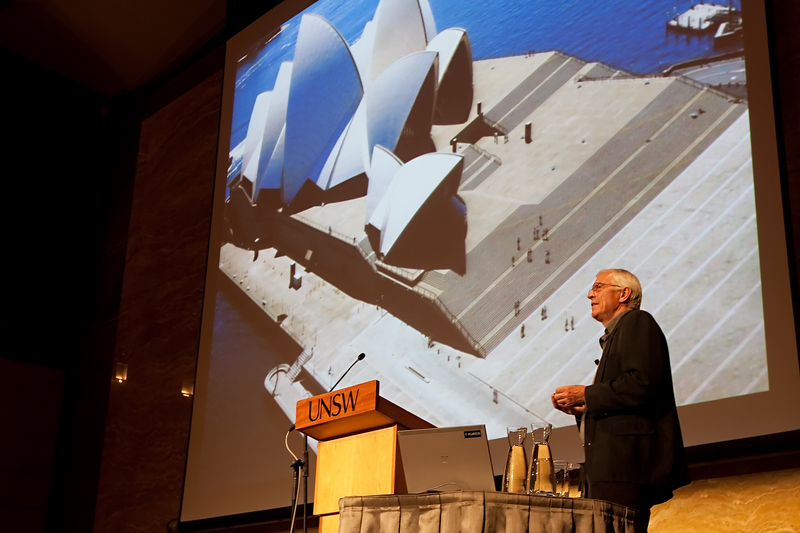 Nearly 500 people turned up – students, staff, alumni, industry professionals to listen to Jan’s story – he talked about his life – living in Sydney, studying architecture at UNSW, and of course, about his father, Jorn who designed the Sydney Opera House. Join us for the second lecture in the 2010 Utzon Lecture Series with international guest Adrian Carter from the Utzon Research Centre in Denmark for his talk entitled ‘Inspirations and Visions.’ RSVP essential: holly.f@unsw.edu.au. This year has been a whirl wind so far!!!! It is flying past and I am trying to keep up!! The first semester was a great experience and I was pumped as ever. That enthusiasm died about a week in when I realised how much there was to keep up with – but the more you persevere the more u start to love it – the friends, the satisfaction of completing cool projects, and the fun of running around the city snapping pics and visiting different sites. The reason why I chose my course is because I loved the diversity it could offer. The engineering side of things is absolute! Maths, physics, chemistry, the logic of the way things work. You get to see their immediate application in the projects you take on. When things get a little too pragmatic, architecture comes to save the day!! Even though first year only has one arch subject per semester, it still fills up my time and allows me the opportunity to express myself in other simple ways. During Enabling Skills in first semester, we focused on the Sydney Opera House and its significance as both an architectural and engineering wonder. I visited it plenty of times!!!! Just to snap some pics, sit down and experience it with some ice cream, or to take some sketches. This semester, Architectural Communications allows me to try different forms of expression such as animations, models, painting and sketching. It’s all a nice mix and a nice blend with other sciences and at times a relief. I like that this course introduces me to both worlds and I hope to continue and complete architecture after these four years. Being able to design and construct my own projects and creations would be unbelievably fulfilling. Especially when I am my own mediator; no engineers to strangle for ruining the design and no architect to whack for not being practical – I’ll be both 😀 if not, I’ll understand how to deal with both better. It’s great to be back and to be getting started with the design stage of my graduation project (ARCH7202). 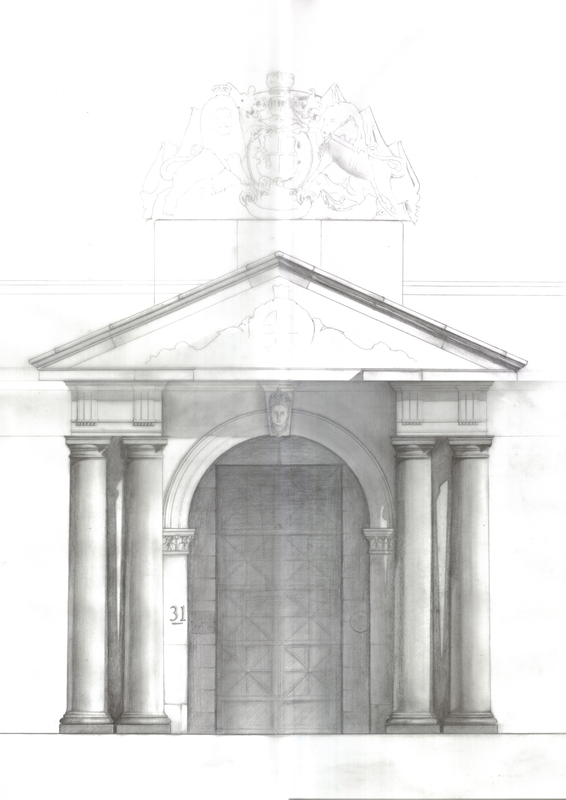 Having completed my research phase of the design (ARCH7201), I can now start to implement what I have learnt to design a theatre for Customs House. 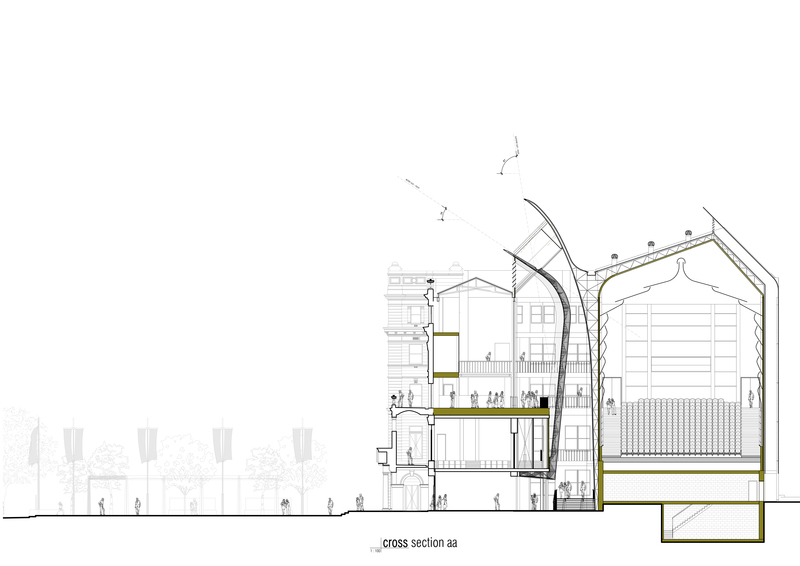 Being my final semester, it’s already pretty intense with a sketch design of my proposed theatre due by week 3. 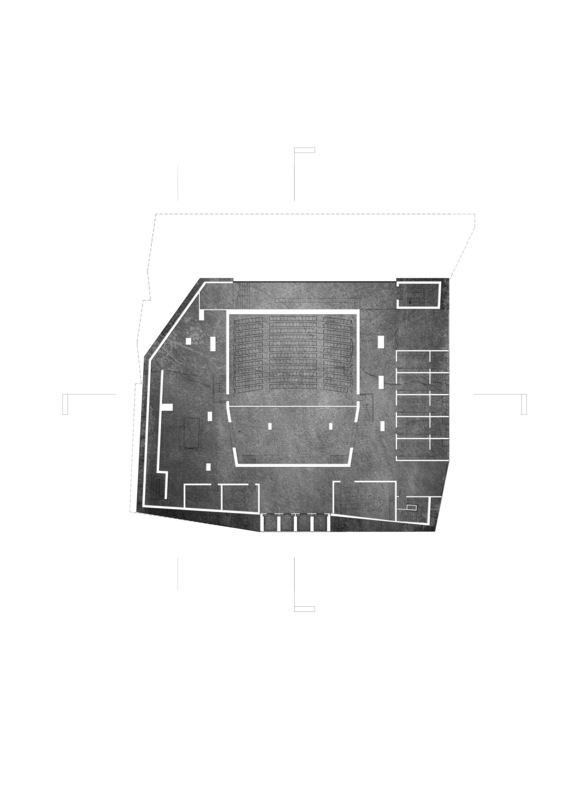 This basically involves fleshing out what kind of spaces/rooms are required, their relationship to each other and how people experience the building in a graphic way. So this would usually include plans and sections and some sketches, with elevations coming later in the process. This might sound a bit full on, but over the course of my degree I am more efficient at doing things and prioritising, so it’s not too intense. Getting back to theatres, and I’m quickly realising how amazing and technically demanding they are. But I think we are all really lucky in Sydney to have such a great example – Sydney Opera House. The significance of it is quite clear when you observe other theatres and buildings in general that have been influenced by it. To help us prepare for this semester, our tutors gave us the task of understanding what exactly a theatre is and what kind of requirements it demands. I was also particularly interested in looking for buildings that had been restored or incorporated existing buildings (adaptive re-use) as well as those buildings that were concerned with the public realm/space of cities and how a building may contribute to that space in a positive way. This concern for the public realm and in general urban fabric of a city is a growing concern amongst architects especially given the emphasis on sustainability. I suppose this is also a point of departure or distinction from what is done in the earlier years of an architecture degree, which deals with sites of a smaller scope. The process of understanding the theatre was pretty exciting as it involved looking at a ton of awesome theatres from around the world, like Frank Lloyd Wright’s Dallas Theatre, Jean Nouvel’s Opera de Lyon, Rem Koolhaas’s Casa da Musica and Sydney’s very own Opera House by Jorn Utzon. All these buildings are worth checking out whether in person or through books and the net – that might have video tours of the building. Observing buildings and life in general is something that my design tutors have really encouraged and it’s a really good practice to have as an architecture student, to just take time to stop and actually really look hard at what’s around you and record it either through words or drawing. After a solid 12 weeks of uni, I must say that I now have a greater understanding of what my degree involves, compared to the first few weeks (when I wrote up my 1st blog!) as a 1st year student. It has been quite hectic, but definitely rewarding as I have gained invaluable skills regarding Architectural design. We have been using a range of softwares and programs throughout the courses, including Adobe InDesign, Adobe Photoshop, Unreal Tournament and Google Sketchup. 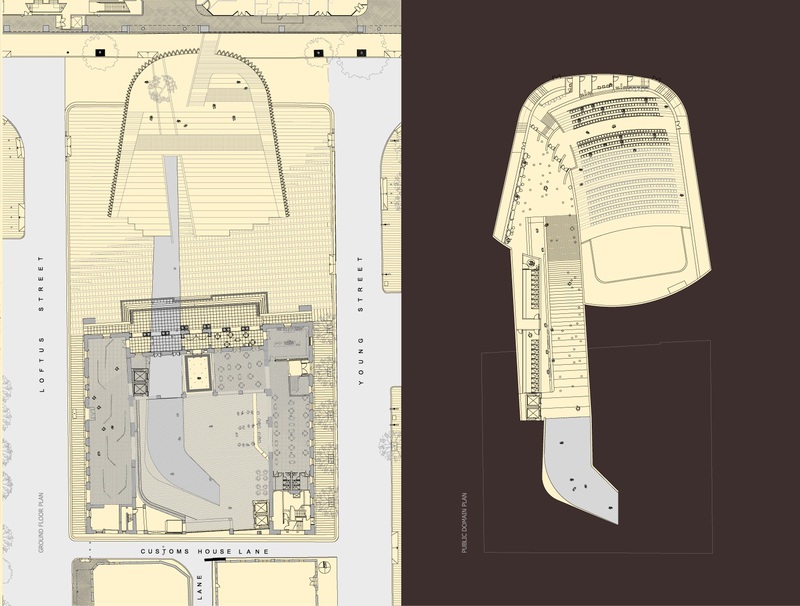 A major assignment I did for BENV1080 Enabling Skills & Research Practice involved designing and putting together an A1 & A2 panel (poster) with text explaining a specific theme of interest regarding the Sydney Opera House, which was also accompanied by a 3D extruded model of a section of the Opera Theatre. It was the first time I had ever made a model! I found it extremely fun, as I have always had a strong passion in craft and modeling…but at the same time, I discovered that it was terribly time consuming. The main aim of this assignment was for us to integrate our Academic, Visual and Computing Literacy skills acquired throughout the duration of the course. When I first started the course, I was clueless with these programs as I had never had much contact with them. However, through tutorials and lab sessions, I was provided with an overview of the basic tools in each program, which had allowed me to produce these final posters. On a side note, through this course, I have achieved a greater appreciation of the Sydney Opera House. 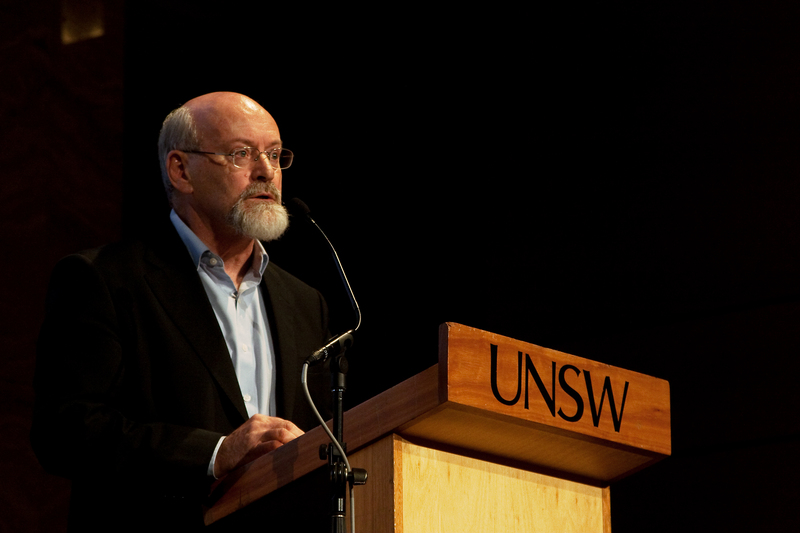 Right now, I am looking forward to Semester 2…as I am sure that it will be as enjoyable and rewarding as what I have experienced so far at UNSW.